T/Sgt. Louis R. Hutchings, son of Mr. and Mrs. J. R. Hutchings, Olney, attended Olney High. Entered Army AF, 1942, trained in Lincoln, Neb. and Chanute Field, Ill. Served in S. Philippines, Luzon, N. Solomons, New Guinea, Bismarck Archipelago and W. Pacific. Awarded APO, Phil. Lib. and GCM. Discharged in 1945. 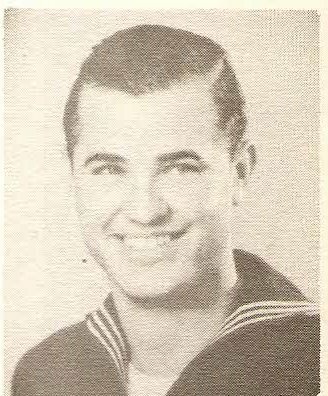 This picture is listed as Louis R. Hutchings in the original 1940's publication. The bio says Army AF but the picture appears Navy. I am unsure if the pictures on this page of the book are correct. This may be a picture of Johnnie A. Huskey. If you know this individual, please contact us with correct identification. Thank-you.